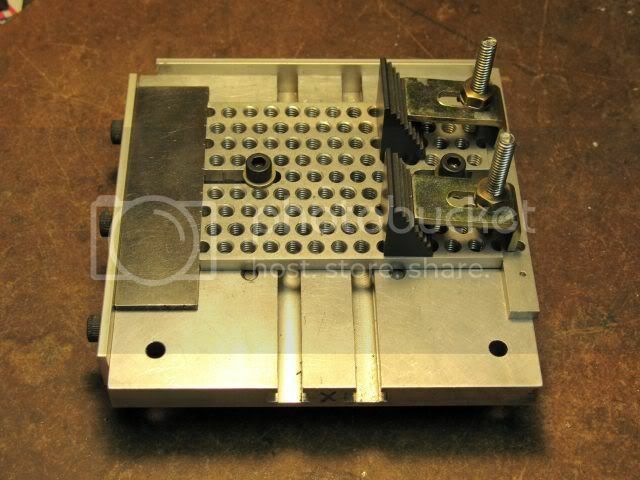 Most of the parts I make are small to tiny and fit nicely into my small Eron milling vise. Nevertheless, the odd part will come along that won't and I really hate to remove the vise in order to table mount the part, then have to spend time reinstalling and tramming the vise again. 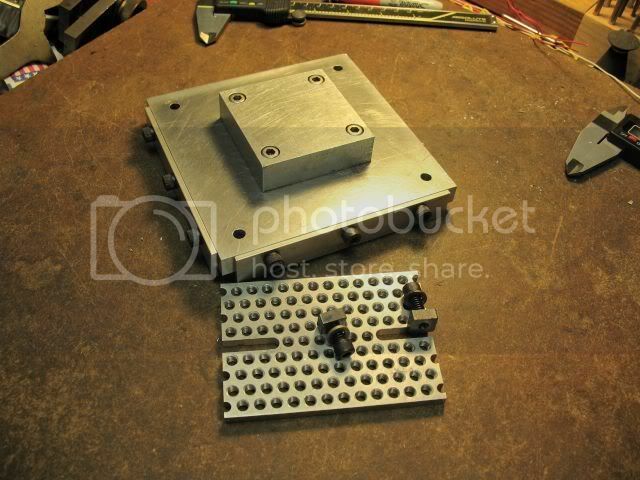 So I built a small, auxiliary milling table that looks like this. The table is 1/2" thick aluminum and the bottom is fitted with a machined block that can be grasped in the milling vise. Most work can be clamped directly to the table using the T-slots. The removable fences allow the work to be aligned to the edges of the table which, in turn, are aligned to the x and y axes of the mill when the block is clamped in the vise. Making the fences removable (after the workpiece is clamped in place) ensures that they won't be damaged during the machining operations. I had thought of drilling an array of tapped holes in lieu of the T-slots but came up with something a bit more flexible. 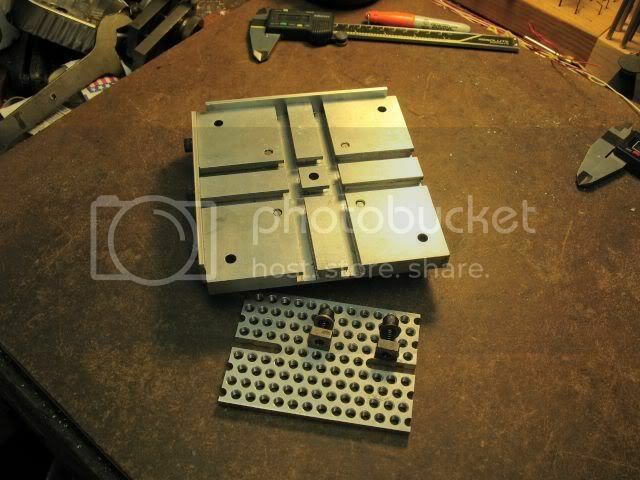 I had acquired some tooling plates that were perforated with holes exactly the right size for tapping 1/4-20 or 6 x 1 mm (for Unimat accessories). I took a piece of this plate and squared it so it can be located accurately using the fences. Then the edges of the perforated plate act as additional part alignment features and the tapped holes can be used for clamping in almost any location. Obviously not something the guys repairing tractors need but a very handy tool if one is making small models or miniature engines. Bad Behavior has blocked 14130 access attempts in the last 7 days.